The challenge of creating AI behaviour that brings human reasoning to the computer player is a fun puzzle. Fortunately lots of theory and books exist by people who have worked on sub-problems, general frameworks and libraries of AI techniques. 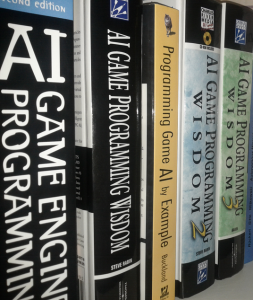 Next to the Game AI Wisdom series, a book called Programming Game AI by Matt Buckland has helped to lay a solid foundation for the AI in Tenshu General. 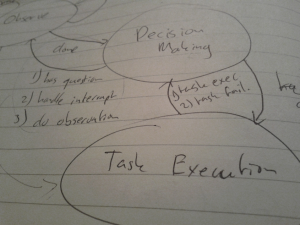 I’m enhancing a general planning approach with typical a FSM which alternates between observation (perception), decision making and task execution. 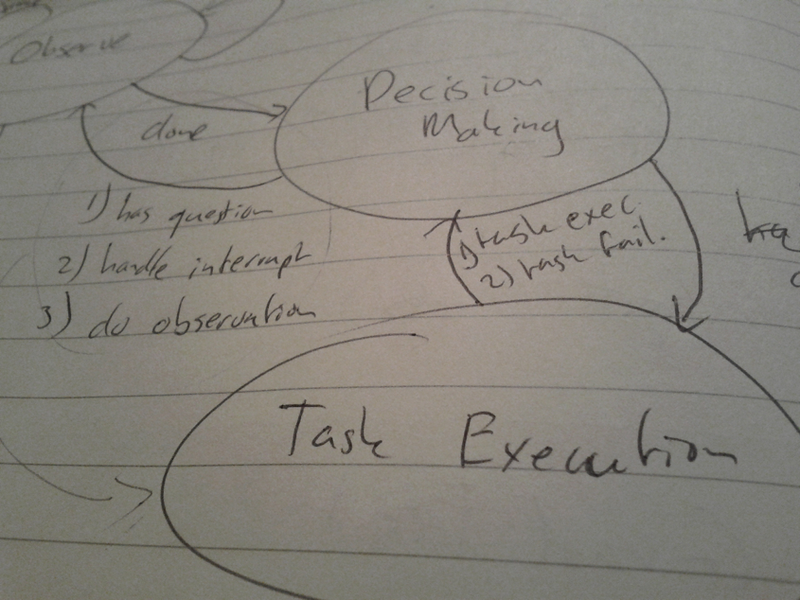 The idea is that simple sub tasks in a hierarchical planning framework should give the AI a responsive nature to what’s happening on the board. At the same time it has to try to stick to its plan as a player would. The focus is not on programming the best strategies, but on creating a playing behaviour that represents what makes playing against human players fun. After all, if it’s not fun, it’s not a game. 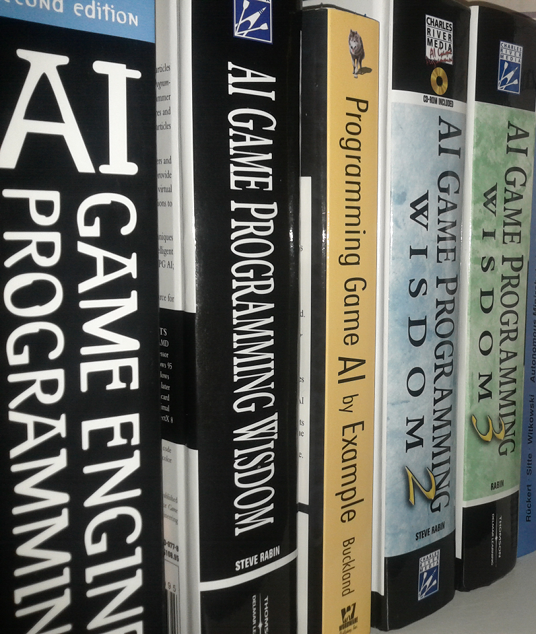 When it comes to observation, or information gathering by the AI, it is all about perceiving and handling what happens in the game exactly as a player would. An advanced topic not yet in the design is player profiling. The question is whether we will put it in, because dialing in a winning strategy against a certain player could make it less fun. The AI should not become repetitive after playing a while against a player, but mix it up to ensure long re-playability. Nailing down a first personality is priority number one now that we’re gearing up for our PR campaign. Working on this is a grind, but also a treasure hunt, so for now I’m having fun.